The 4th of July is one of the most popular holidays in our family. It may have something to do with the heat finally arriving in Chicago, our annual trip to northern Michigan or the anticipation of watching small town fireworks over the lake. 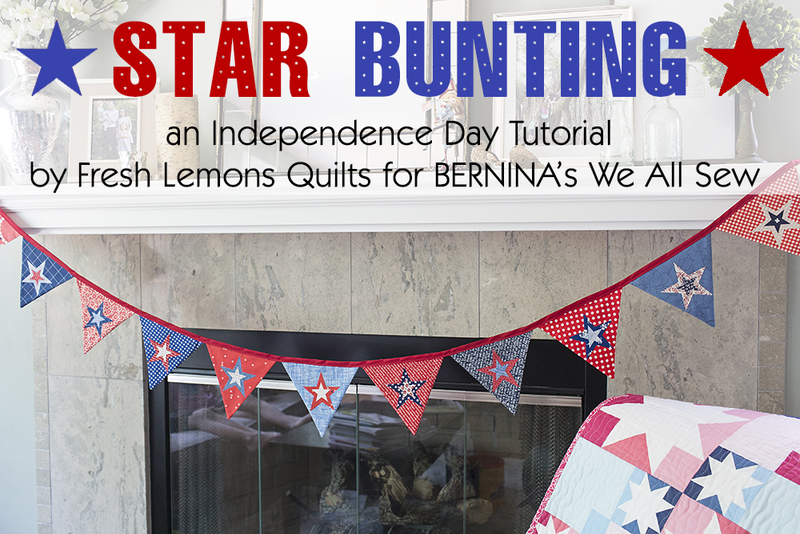 Last year at BERNINA's We All Sew blog, I shared directions to make my Summer Sparkler Quilt. This year I’m continuing the tradition of decorating for the holiday, with instructions to make your very own 4th of July Star Bunting. This tutorial is easy to whip up, scrap friendly, and will add an extra pop to your holiday celebrations! Or change the colors and use for birthdays and other special events. Just click on over to BERNINA's We All Sew blog and make one of your own.